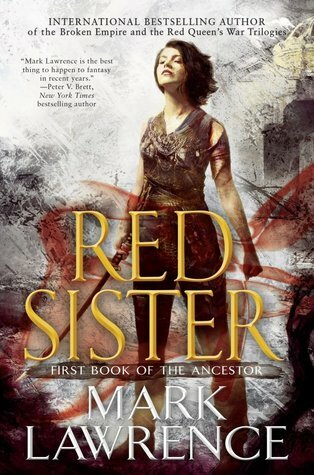 International bestselling author Mark Lawrence’s latest novel, Red Sister, is the first installment in the Book of the Ancestor trilogy, which is set in a new world unrelated to his two previously published trilogies. It follows Nona, a young girl with a turbulent past, as she trains in a convent after having been found on the brink of being hanged for murder. 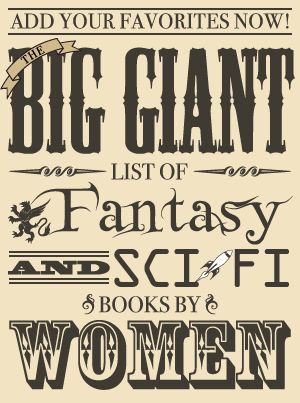 It’s both very familiar and yet a little different, particularly in its approach to conventional tropes, and I was completed immersed in it largely because of this compelling main character and her obvious unreliability. By saving her friend Saida, Nona condemned them both. The two children, each of whom strongly exhibited one of the four traits of the old tribes, had both been sold to a man who kept fighters, but they were assigned chores in lieu of training until they were old enough for their potential gifts to fully manifest. One day, Nona heard screams coming from the warrior’s room Saida was cleaning and rushed to the scene to find the giant man holding her friend off the floor by one of her arms, apparently having lost his temper over a broken vase. After he ignored Nona’s cries to stop hurting the other girl, she slit his throat—and would have killed him had his father not been a ridiculously rich nobleman who could afford the powerful magic necessary to keep him alive. Nona may have succeeded in rescuing her friend from the fighter, but she was not able to rescue either of them from their resulting death sentence. Saida is hanged first, but Nona is rescued shortly before her own hanging. Abbess Glass of the Convent of Sweet Mercy believes Nona has the fiery spirit of a Red Sister, a warrior who serves the Ancestor through combat, and uses her position—along with a bit of deception—to free Nona and make her a novice. At the convent, Nona begins taking classes with other girls around nine years of age. There, they are not just educated in subjects such as reading, writing, history, and religion but also fighting, poisons, and magical arts. Though Nona finds friends and belonging at Sweet Mercy, her place at the convent is threatened by those who will not forgive her near-murder of a nobleman—and Nona will never truly feel like she belongs anywhere as long as she will not forgive herself the secrets of her past that led to her mother giving her away in the first place. Red Sister is not the smartest, most unique, or most elegantly written book I’ve read this year (though it is well-written with some interesting touches), but it is certainly the most engaging new book I’ve read this year. It’s the one that made me become the most invested in the main character and her story, plus it features sharp dialogue, characters with personality, some mystery, a focus on friendship, and badass nuns—and it’s not just my favorite 2017 release so far but also my favorite book read for the first time this year. Though it has multiple wonderful qualities, I found the highlight of Red Sister to be Nona herself. From the very beginning, she’s a compelling character, a young girl who was nearly hanged for murder and whose dear friend was hanged for a murder she did not commit, and her fierceness, loyalty, and drive to protect her friends leaps from the page. Despite being rather up-front and honest about many of her thoughts—she has no qualms about chastising Abbess Glass for saving her but not Saida or letting the most zealous of nuns know that she doesn’t think all that highly of the Ancestor—Nona is secretive about her past. When she’s asked to tell the tale of how she came to the convent, it’s clear that she’s not being entirely truthful and she also has a tendency to downplay her capabilities stemming from this incident, leaving one to wonder what so terrifies this otherwise fearless girl. The third person narrative does not delve into Nona’s every thought so this is kept from the reader as well, and Nona’s perspective in general can be rather misleading, especially in the first half when she’s around nine years old. She does not always reach the correct conclusions, and (I suspect because she herself doesn’t mince words in most cases) she does often take people’s words at face value when she shouldn’t. The other characters and Nona’s relationships with them are also captivating. The second part of the book focuses on Nona and her friends when they’re around the age of young teens, and Nona’s relationships are not stagnant as she sometimes realizes she was wrong about people. Her friendships (especially the one with Hessa) and their dialogue was wonderful, even if I did find a couple of her less prominent friends interchangeable, but the best characters besides Nona are the nuns. Abbess Glass is politically minded and practical and encourages Nona to speak her mind to her even if she is being blasphemous, though she does discourage her from doing so in front of one of the more devoted nuns who despises Nona. Sister Kettle is kind and her girlfriend, Sister Apple, can be kind as well—but not when she’s in her role as Mistress Shade, the teacher whom the students understandably consider to be the worst, largely due to her habit of poisoning students with non-lethal (yet nevertheless unpleasant) substances. Though there are certainly other parts to the story, most of the tale takes place in the convent and a fair amount of time is spent on classes and training. Blade (combat) and Shade are rather intriguing subjects, and I really appreciated that despite Nona’s heightened speed (unusually fast even for those with this particular trait) and natural ability with the former, she still has to work to improve. She isn’t automatically the best at every weapon or the first student to pick up a particular skill, and sometimes she has to find her own way since the nuns’ teaching methods don’t always apply to her as an individual. Those lessons are often related to character development and showing that there’s more to Nona than she’s letting on, but some of Nona’s lessons are mainly a vehicle for exposition about the convent or the world as a whole. At times, this slowed down the pacing, but I didn’t find it to be a huge issue since the dialogue showed personality instead of being dull and rote, plus the world is interesting. Most of the planet is covered in ice, and the convent is on a narrow strip near the equator that is not frozen due to technology set up long ago. The descendants of the four tribes whose ships landed on this dying world sometimes possess one of the four primary traits of the tribe—or maybe two or even three, in extremely rare cases—to varying degrees, and many believe a prophecy that a four-blood Chosen One will save them all. There are some twists regarding the truth behind this prophecy throughout the novel, and it seems unlikely that it will follow a predictable course. About halfway through the book, this thread is continued in an interlude, and at that point, enough information has been supplied to begin piecing it together. The big picture is more apparent when it concludes with the epilogue, though there are still questions involving the details left for the rest of the trilogy to address. Red Sister is a fantastic book built around a fascinating main protagonist who is all the more captivating due to her reticence about her past and abilities. It can be harsh and violent given that it’s about a fighter-in-training with some bloodthirsty tendencies who has already killed and lost a friend to injustice (and the ending is especially bloody), but it’s not overly grim in tone. Friendship is a precious gift to Nona, who is loyal to a fault and is not in the habit of drawing blood unless she is defending herself or others, and there’s enough light throughout the darkness to keep it from becoming a slog of bleakness. I absolutely loved it, and there is no 2018 release I’m more excited for than Grey Sister.